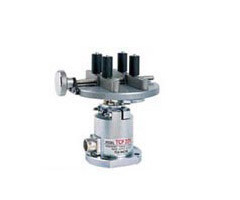 Attachments for TCF to achieve precise torque measurement. Model TP has been designed to simulate joint characteristics by tightening a test bolt through a set of conical spring washers, which are arranged similar to actual joint, "soft", "medium", or "hard" joint. Three jaw chuck of DTF model grasps the objects to be measured quickly and accurately. Universal built-in clamping fixture of TTF model allows for a wide variety of parts to be easily checked without special fixture. 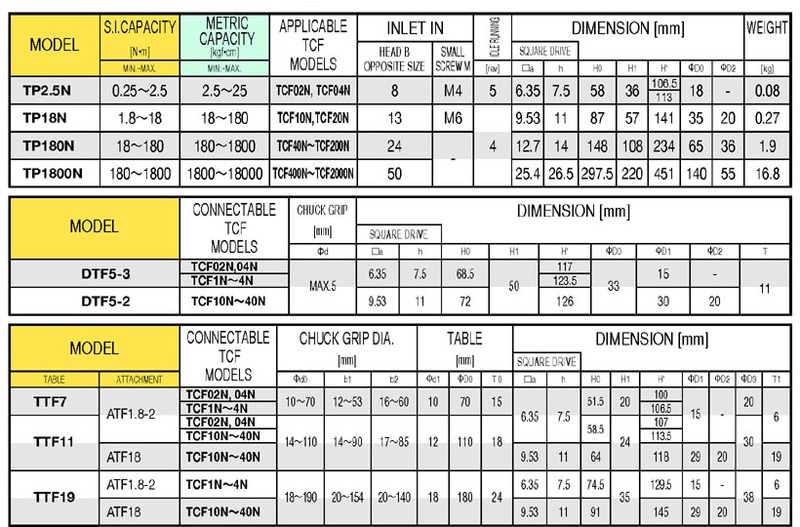 ATF attachment is required to fix TTF table to TCF model.